Looking over the wall at Gearing Point in Hermanus we saw this dassie some way off. Spotting us and another family watching, it must have thought there was a potential for getting fed as it hopped over the rocks towards us; perched on this rock and looked up, as if to say “HEY! Where’s my food?”. 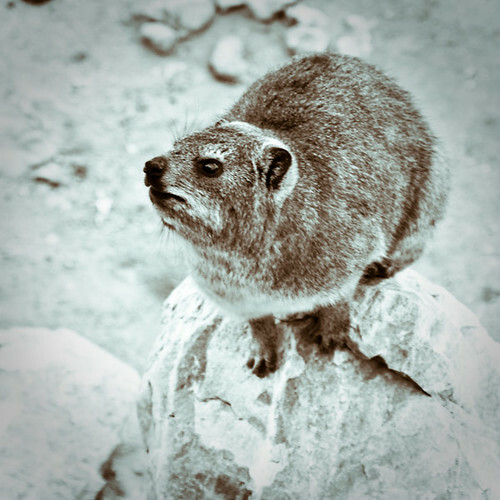 This entry was posted in Photos and tagged cheeky, dassie, hermanus, hyrax, rock. Bookmark the permalink.